Butler for Trello: Why Butler Is a MUST for all Trello users! If you are utilizing Trello, then you need to know about Butler! 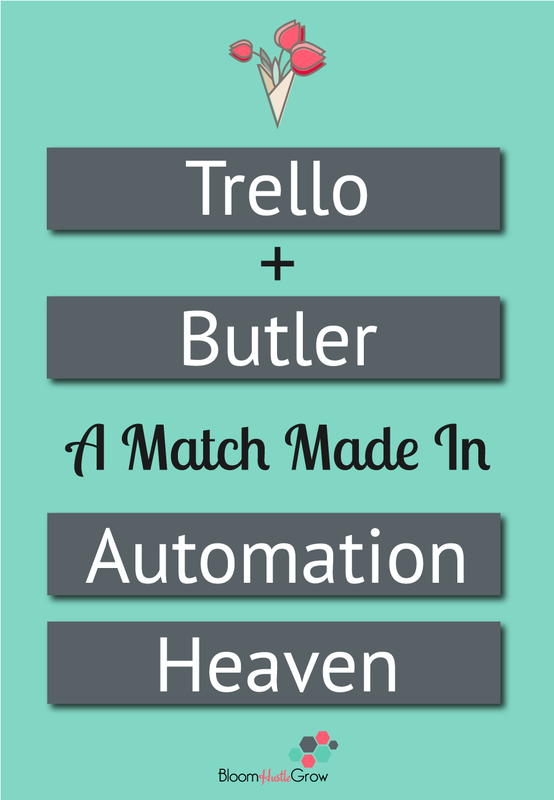 Butler for Trello is automation magic! So let’s dive in and let me tell you all about it! 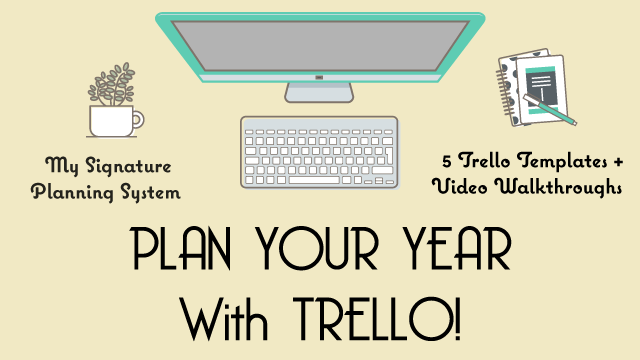 Psst…not sure what Trello even is? Then catch this post! 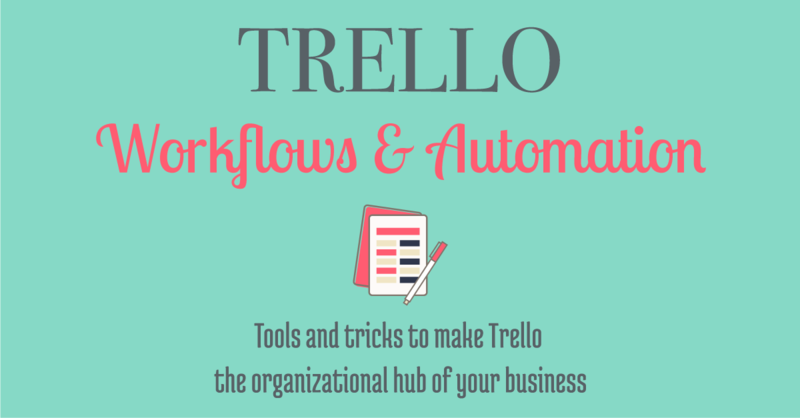 Why Butler Is A MUST for any Trello user! Butler is an add-on app that will do repetitive and automated tasks for you within your Trello boards, lists, and cards. Its service is at your command, just like Jeeves or Alfred. Butler is your little Trello robot at your command to lend you an extra Trello hand. So many people who first look into Butler are often confused by the Butler Powerup versus inviting Butler Bot to your board. They are both parts of Butler, but they serve two different functions. 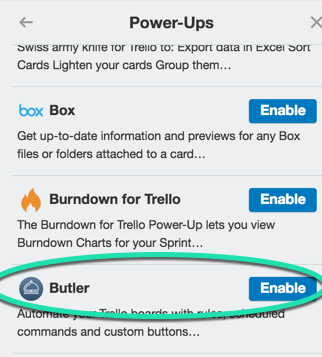 This is enabled by going to Trello Power-Ups and enabling the Butler Power-Up. Butler Power-up allows you to create buttons for your board or cards. These allow you press a single button to execute an action. 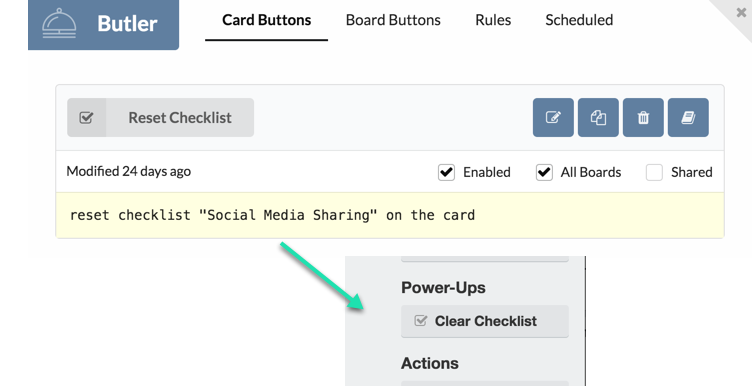 Butler Bot allows you to add automated actions to your board, lists, and cards based on created commands with a trigger (s) and an action (s). The Butler Bot is active on your board when a list called Butler is added to your board, and under that list are the actions that are activated for that board. Invite Butler Bot to your board by going to the Butler dashboard. There are so many things you can get Butler to do for you. I recommend you add as you use your boards, so anytime you think “man, I wish I didn’t have to do that all the time” see if you can’t figure out your Butler command to do just that. But here are a few examples of ways you might get started. Your blog post process card. I have to copy a new card, each time I create a new blog post for my editorial calendar. But by creating a Butler board button, I can simply press a button at the top of the board, and it will automatically add a card to my Drafts List. Do you reuse checklists on a particular card? 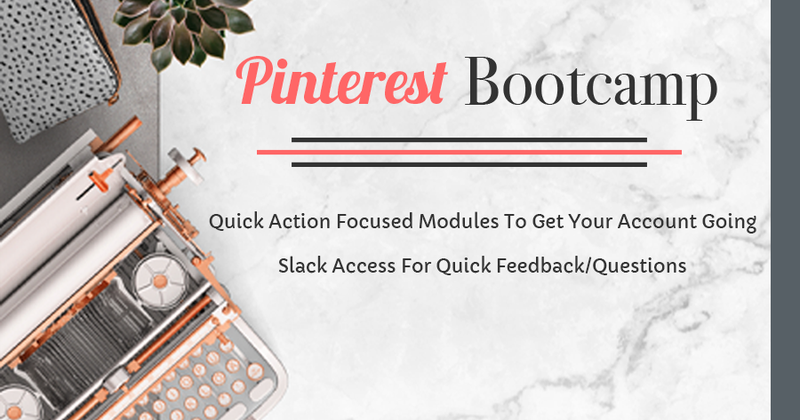 I use one card to keep track of my Pinterest Group board pinning, so I created a card button that will uncheck all my group boards when I’m ready to start over. I click the button on the card, and the checklist is reset. Butler Bot Commands are developed using the Command Builder in the Butler Dashboard. Here are a few examples of commands that I’ve built. This is what these look like on the board. You build the command and the command becomes a card on the Butler List you invited to the board. There are SO SO many commands you can create using Butler. I highly recommend you visit the Butler Command Builder to see all the possibilities! Want repeating cards? Butler can do that! 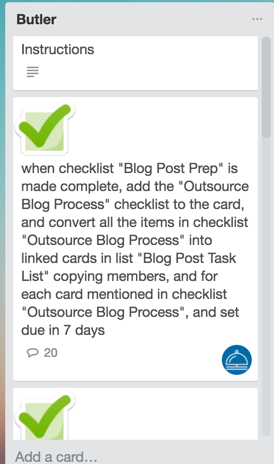 Want a certain card added to your to-do list every Monday? Butler can do that! Want all cards you are added as a member to be copied to one board? Butler can do that! Want a certain label added to any card that moves to particular list? Butler can do that! Want to learn more about what Butler can do? 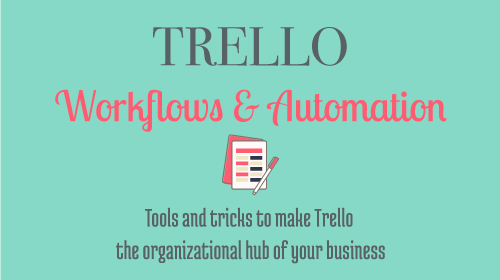 Grab my newest course Trello Workflows & Automations! 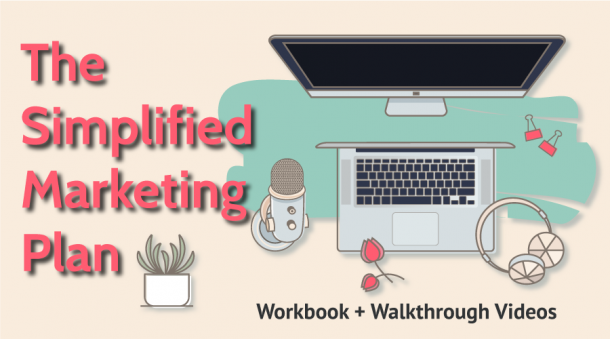 I dive into what Butler can do, as well as sharing how you can do more in Trello with Chrome extensions, Zapier, and Power-Ups too!